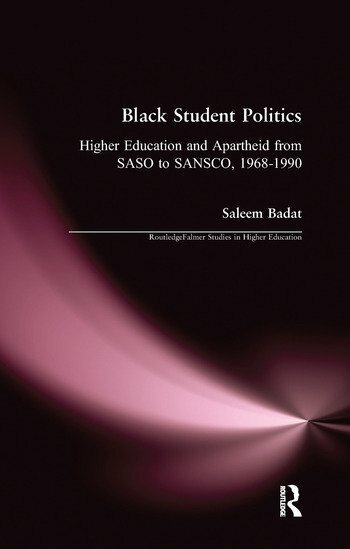 Black Student Politics, Higher Education and Apartheid examines two black national higher education student political organizations - the South African National Students' Congress (SANSCO) and the South African Students' Organization (SASO), popularly associated with Black Consciousness. It analyzes the ideologies and politics and organization of SASO and SANSCO and their intellectual, political and social determinants. It also analyzes their role in the educational, political and social spheres and the factors that shaped their activities. Finally, it assesses their contributions to the popular struggle against apartheid education and race, class and gender oppression and the extent to and ways in which their activities reproduced, undermined and/or transformed apartheid and capitalist social relations, institutions and practices.